Regardless of the weather outside your own front door, somewhere in the world there's a warm and welcoming sun-spot that’s perfect for a holiday. So pack your shades and dig out the SPF for our pick of the best year-round destinations that will top up your vitamin D levels. With a staggering 350-plus days of sunshine per year, and summer temperatures reaching 37°C (100°F), Tucson is a sun-worshipper's dream. The city has three lakes (Silverbell Lake, Kennedy Lake and Lakeside Lake) ideal for a spot of boating or fishing, while more intrepid travellers can explore the vast Sonoran Desert (pictured). Here you can marvel at the famed saguaro, the largest cactus in the United States, alongside a whole host of other diverse plant and animal species. 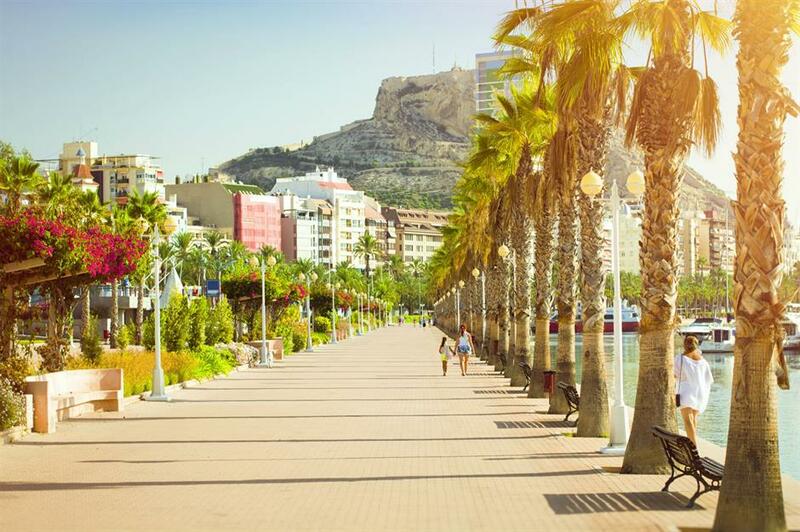 Nowhere says sun, sea and sand quite like Spain, and port city Valencia sees in the region of 2,660 sunny hours per year. There are a wealth of activities on offer to make the most of its clear skies and balmy temperatures too. Spend the day sunbathing on a beach backed by stunning coastal mountains, marvel at the areas' wealth of Roman ruins or plan your visit to coincide with the much-coveted Benicàssim music festival, which takes place around an hour north of the city. 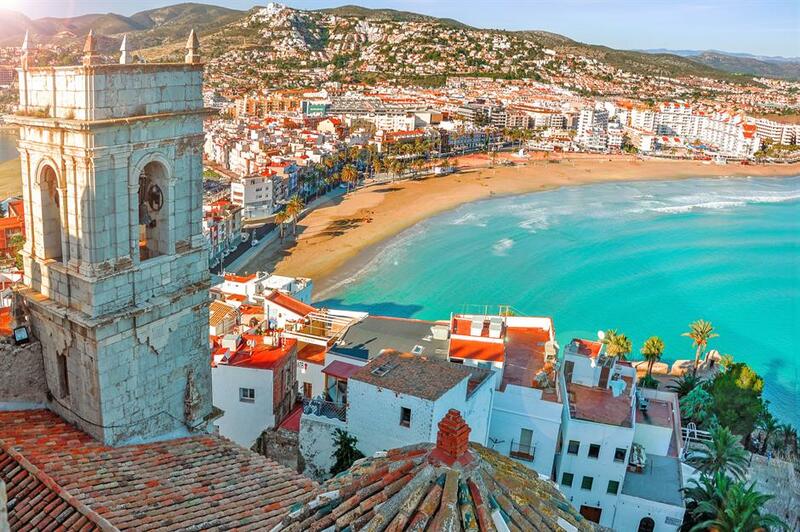 For other amazing places to visit in Spain, check out our full guide here. 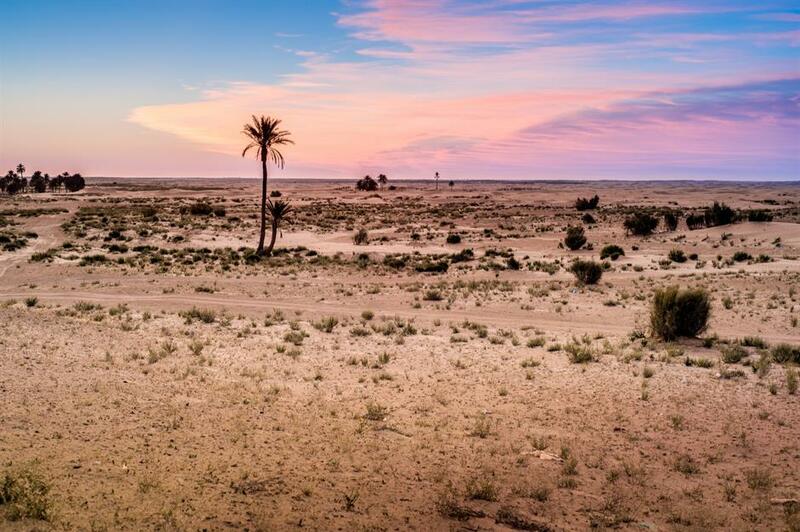 Located in the southwest of this North African country, the desert oasis of Kebili is one of Tunisia's best-kept secrets. With such an arid climate, it's no wonder that thermometers once climbed to a record high of 55°C (131°F). Tourism to the area is slowly growing. Kebili is known as the 'Sahara Gate', and you can explore the sand dunes in the world's largest hot desert via a 4x4 or quad bike. 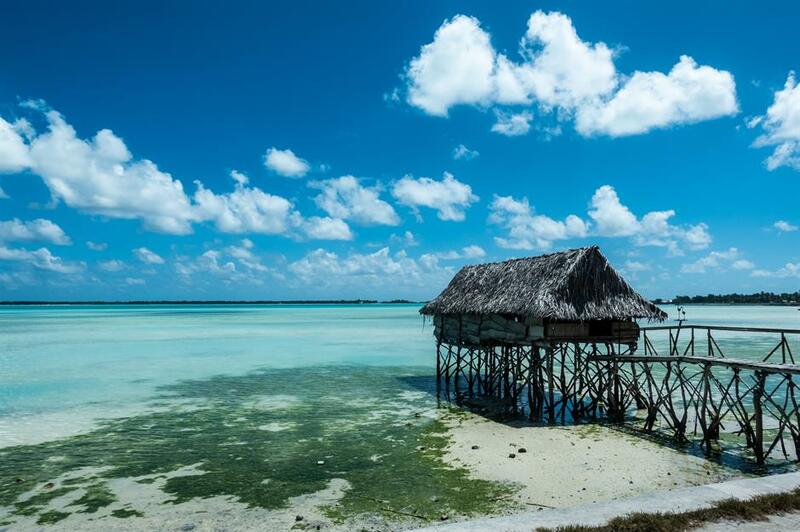 It's no wonder that the Indian Ocean island of Zanzibar is a tourist hot spot. Outside of the two short rainy seasons (March–May and November–December), the island enjoys near-constant sunshine. 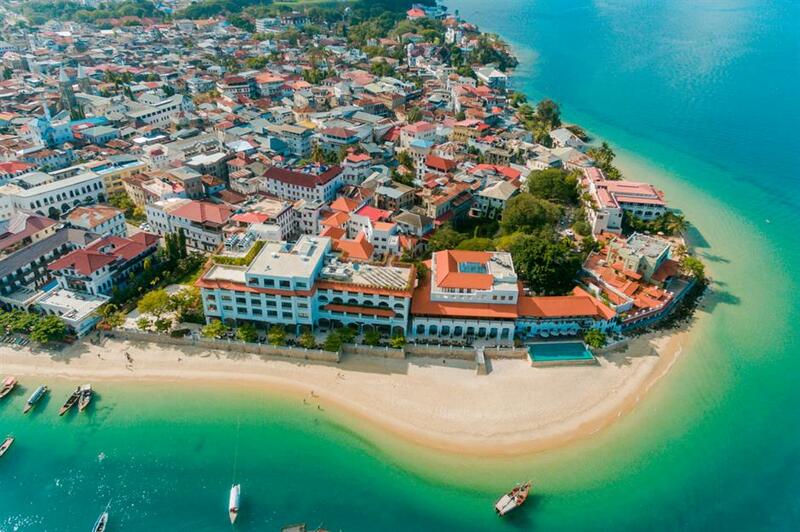 As well as taking a dip in crystal clear waters, tourists can explore the winding streets of Zanzibar City's old quarter, Stone Town. A UNESCO World Heritage Site, it's home to the bustling Darajani Market. 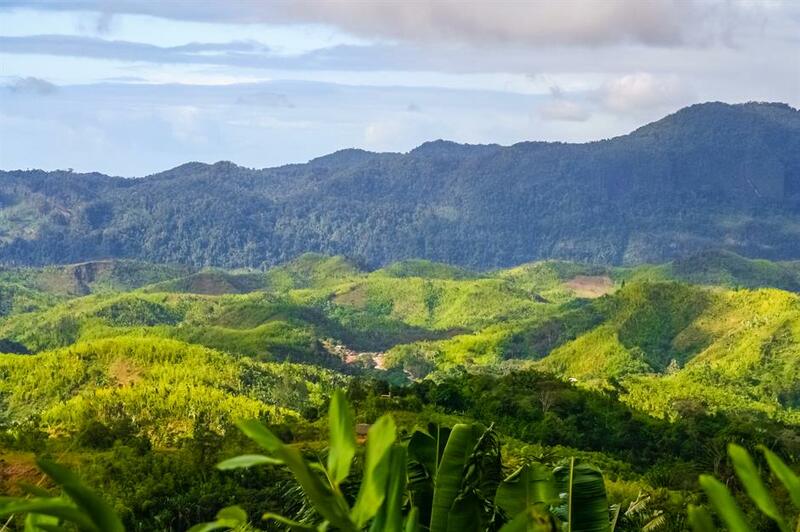 You could also take a spice tour to sample the island's crops of clove, nutmeg, cinnamon and more. The French island of Corsica is spoilt for sun-soaked locations, boasting around 300 days of sunshine per year. 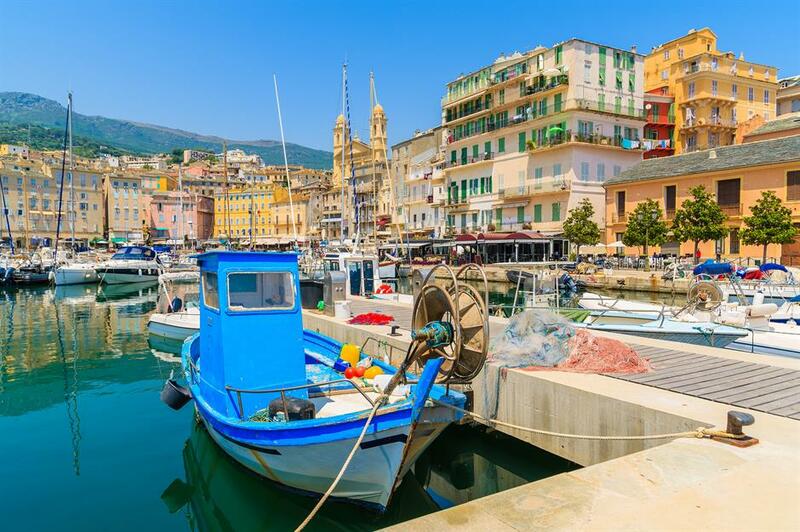 Tops spots to enjoy the weather are Ajaccio, the picturesque capital, and the buzzing port city of Bastia. The Regional Natural Park of Corsica covers around 40% of the island, with a multitude of hiking and biking trails on offer. For those who prefer to sit back and relax, chic marina resorts such as Bonifacio are ideal. Located halfway between San Francisco and Los Angeles, California's fifth-largest city is a great pit stop if you're planning a road trip along the USA's West Coast. 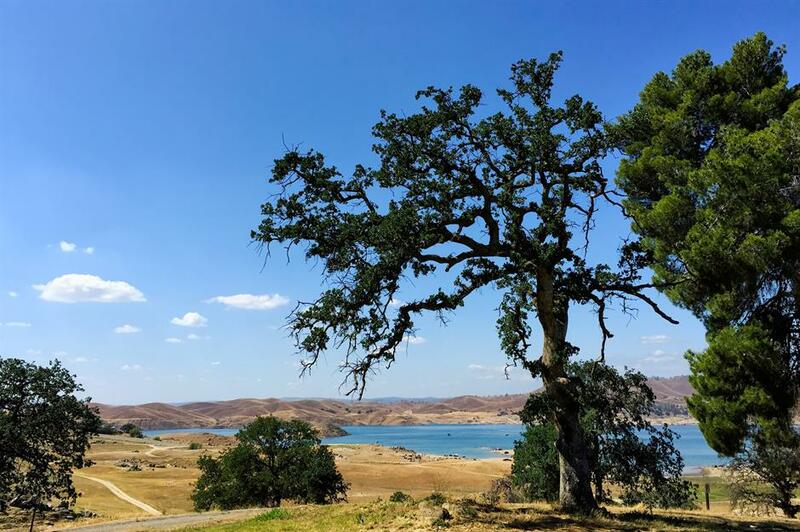 Take advantage of the year-round sunshine by heading for a spot of swimming, hiking or water skiing in the Millerton Lake State Recreation Area, or wonder at the spectacular rock formations and waterfalls in the nearby Yosemite National Park. See 50 other amazing places to visit in California too. The island republic of Kiribati is made up of 33 isles stretching along the equator, more than half of which are uninhabited. While there are temperature variations across the islands, high humidity means it can still feel warm even when temperatures dip. The lagoons and pristine beaches of the Gilbert Islands to the west are a must-visit, while Kiribati's wealth of coral reefs are perfect for divers. 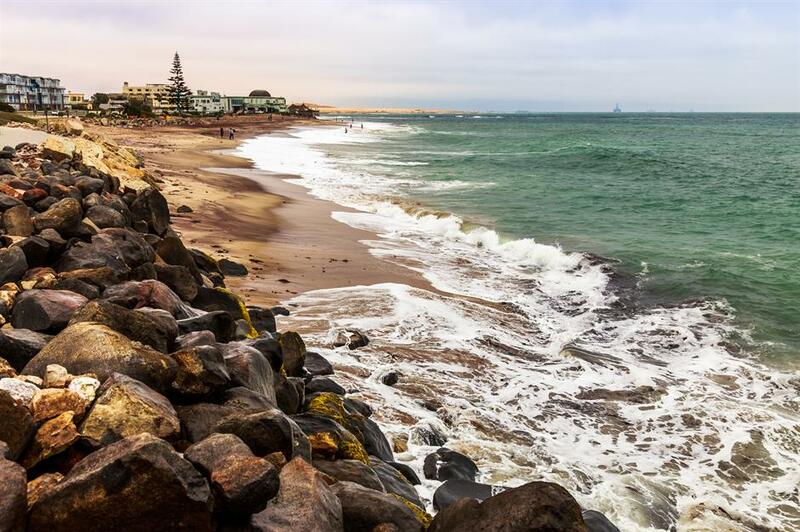 Surrounded by the coastal Namib Desert, considered the oldest desert in the world, Swakopmund sees less than an inch of rainfall annually. Spend the day walking along the city's palm-lined promenades, or learn more about its history as a German colony through the wealth of buildings that remain from the era. You could also rent a surfboard and ride waves at locations including Bocock's Bay, around two hours north of the city. The largest of the Dodecanese group of islands, Rhodes enjoys around 300 days of sunshine per year. Surrounded by medieval walls and lined with pretty cobbled streets, Rhodes' Old Town is a must-see. For those who want to soak up the sun by day and party by night, the beach resort of Faliraki is also a popular spot on the tourist itinerary. And when it comes to picture-postcard Greece, it doesn't get much better than the whitewashed buildings and hilltop acropolis of Lindos town. Portugal's coastal capital is one of the sunniest places in Europe, clocking up an average of 2,799 hours of sunshine per year. Hop on one of the city's distinctive yellow cable cars to explore Lisbon to its fullest. Take in the view of the city's pastel-coloured houses from atop the São Jorge Castle, or head west to the towns of Estoril and Cascais and enjoy their much-loved beaches. 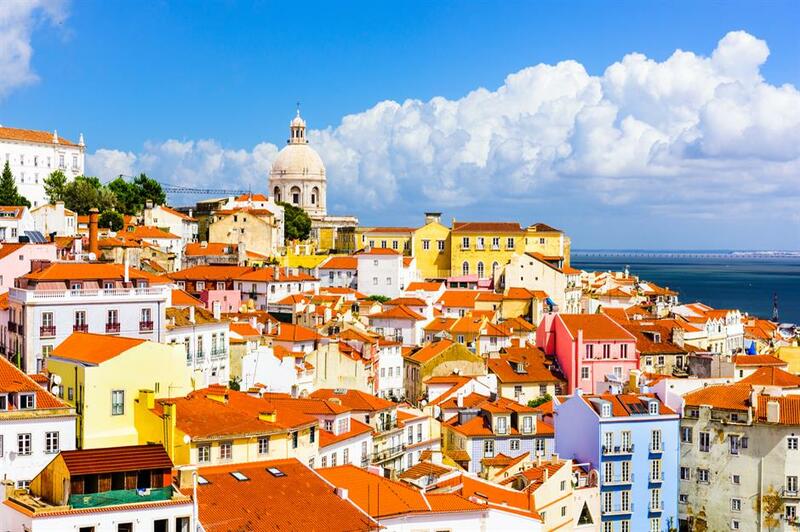 Check out our city guide to Lisbon here too. Famed for its vanilla beans, paradise beaches and rainforests teeming with endemic species such as lemurs, this Indian Ocean island will have no trouble charming you. Outside of the rainy season (January–March), the island, for the most part, is gloriously sun-drenched. Avoid travelling to the southwest of the island in summer (November–early January), when the heat is searing. A key town in the Northern Territory of Australia, Alice Springs is often seen as the heart of the Outback and has just a handful of rainy days each the year. There's plenty to see, including the Alice Springs Desert Park, an educational facility home to a variety of animal and plant species. 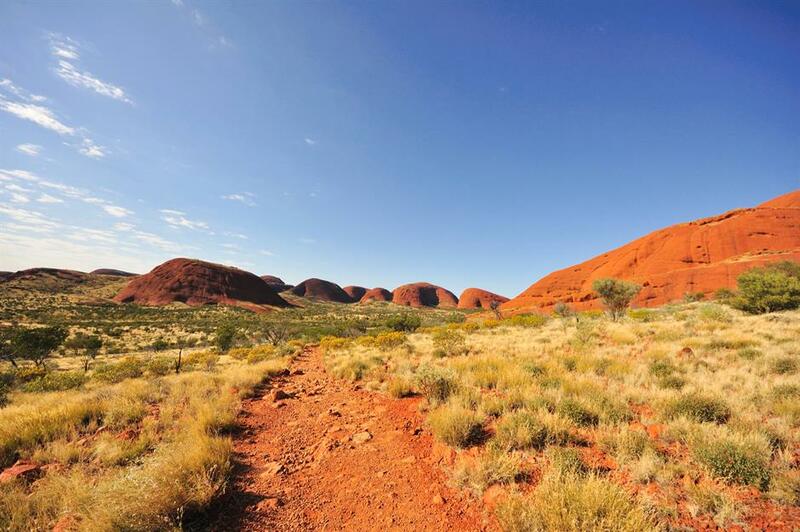 You can also plan a trip to the area's interior desert region, the Red Centre, which is home to the famed Uluru, or Ayers Rock. 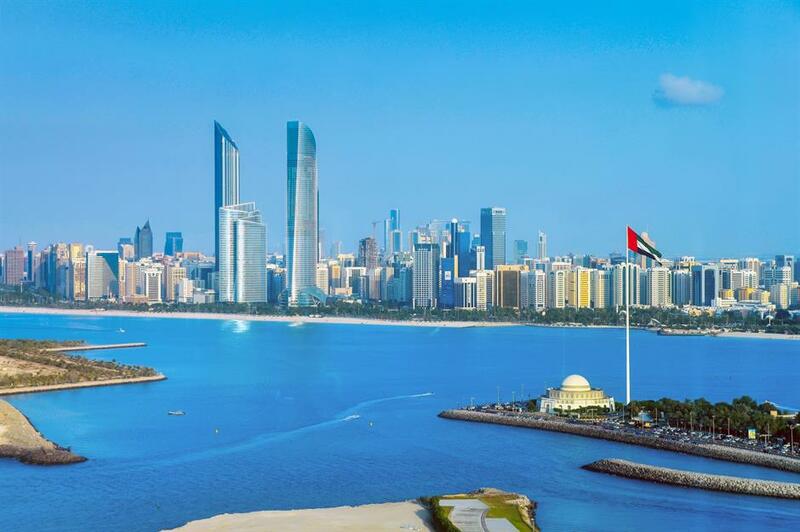 Like other parts of the United Arab Emirates, Abu Dhabi enjoys sunshine almost year-round and an average of just 12cm of rainfall annually. In summer, temperatures can hit a high of 42°C (118°F), and they rarely fall below 13°C (55°F) in winter. Make the most of the climate by visiting Abu Dhabi's many public beaches. The most famous is The Corniche where swimmers can frolic to their hearts' content in the calm, blue waters. 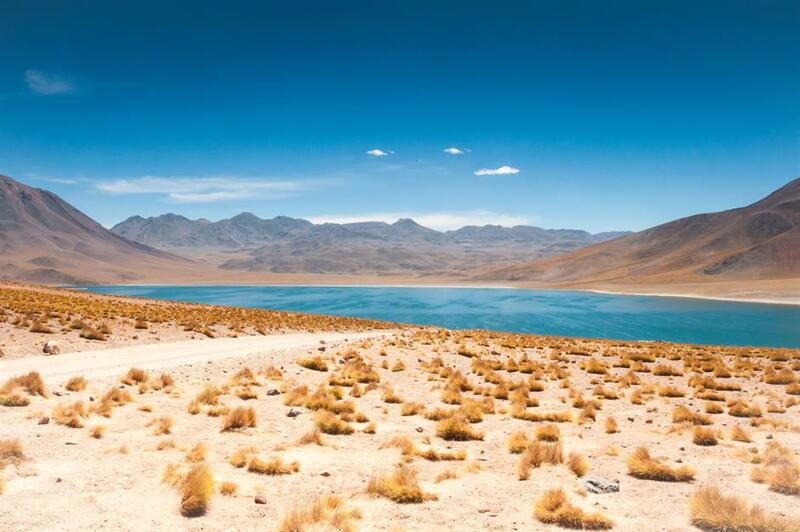 Located in the Atacama Desert, it's no wonder this South American town enjoys sunny days pretty much year-round. Must-visit landmarks include Chaxa Lagoon, a salt flat in the Los Flamencos National Reserve that's home to some fascinating bird species, including flamingos. An organised tour out to the traditional Andean village of Machuca and to the geyser field of El Tatio are also popular. 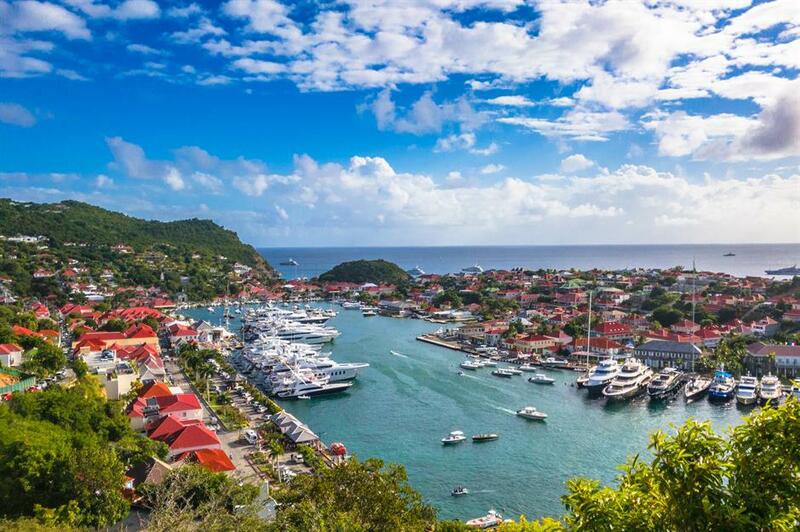 More commonly known as St. Barts, this paradise island is a popular retreat for the rich and famous, who are keen to take advantage of the destination's 3,000 hours of sunshine per year. With pristine sandy beaches and a wealth of high-end restaurants, its the perfect location to pamper yourself and truly get away from it all. 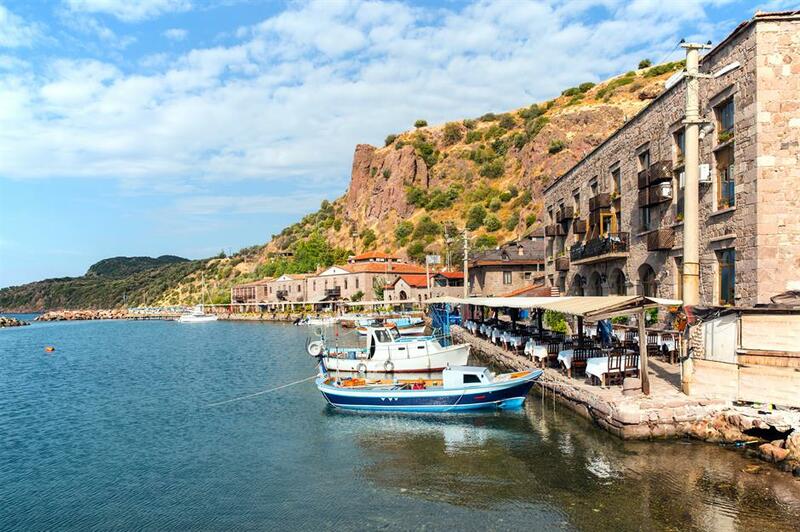 Sun-soaked for much of the year, this seaport city is famed as one of the gateways to the Gallipoli WWI battlefields. It's also close to the ancient archaeological site of Troy, immortalised by Greek poet Homer in The Iliad. And after a packed day of sightseeing, there's no better way to relax than by watching the sun go down at the yacht-filled marina – preferably with a drink in hand and some of Canakkale's delectable olives to snack on. 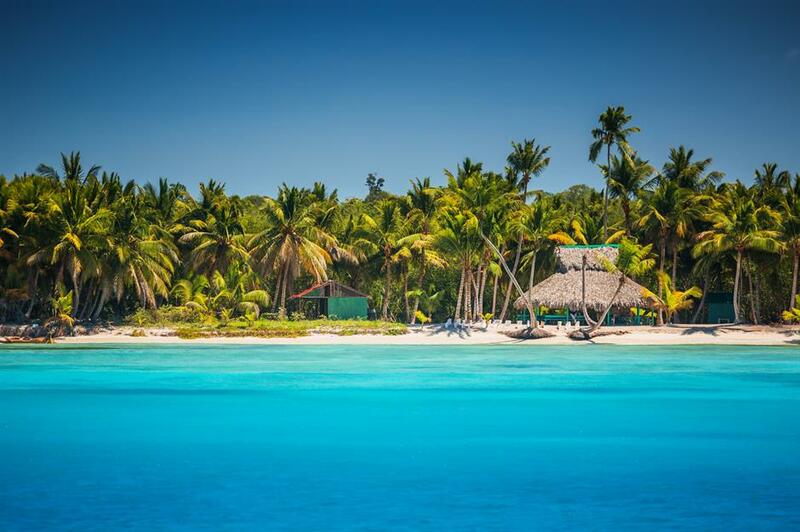 Boasting warm weather all year, with comfortable highs of 27°C (80°F), the beach town of Punta Cana is a firm favourite with those after a dose of winter sun. A number of all-inclusive resorts line the area's 20-mile stretch of beaches, and activities on offer include windsurfing and zip-lining. The fashionable Cap Cana Marina is also a great spot to sip on a cocktail and watch the world go by. Be aware that June–November is the rainy season. 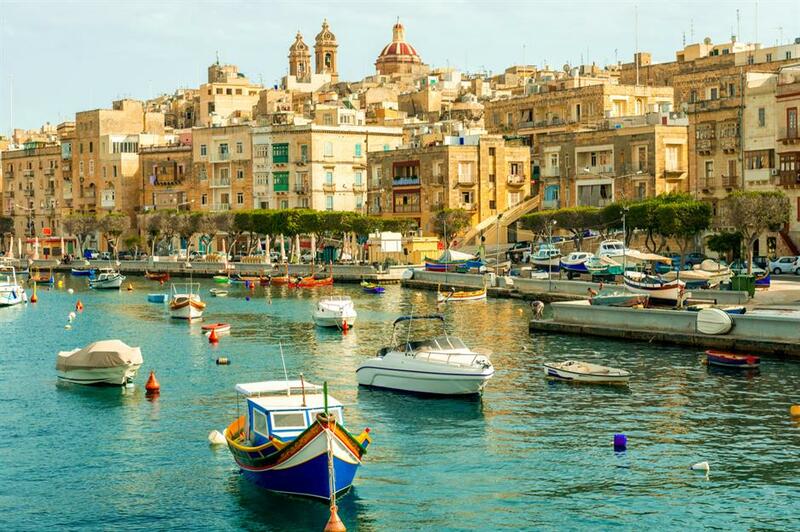 Malta's capital enjoys 2,957 sunshine hours each year. Explore this popular city-break destination via its imposing baroque landmarks and the magical Grand Harbour. You should also sample traditional Maltese delights such as pastizzi (pastry encased with fillings such as peas and ricotta) at one of the charming al fresco eateries. See our perfect guide to a weekend in Valletta here. 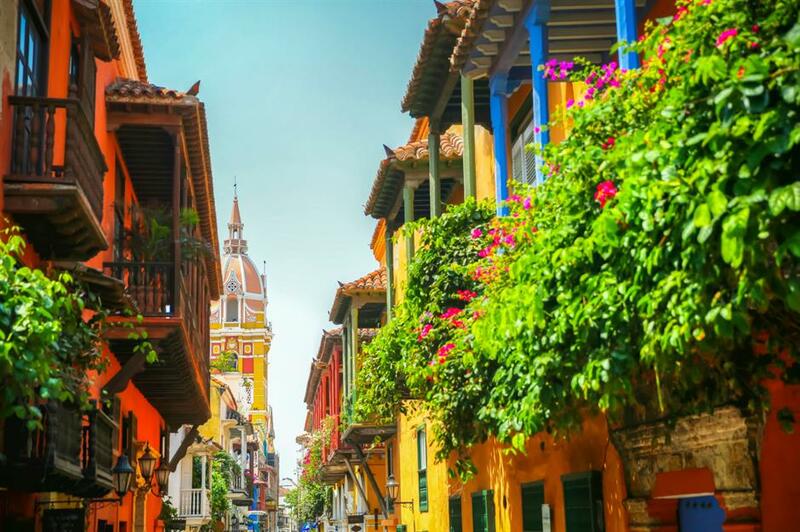 With average temperatures tipping 30°C (86°F), Cartagena is a stunning spot for a sunny break. Historical houses are painted rainbow colours and horses clatter down the streets. If sightseeing in the heat gets too much, Tayrona National Park, with its inviting, crystal-clear beaches, is around four hours away. Discover 50 of the world's most beautiful cities here. The Yucatan Peninsula never really drops below 20°C (68°F), even in winter, so it's perfect for those who like heat. 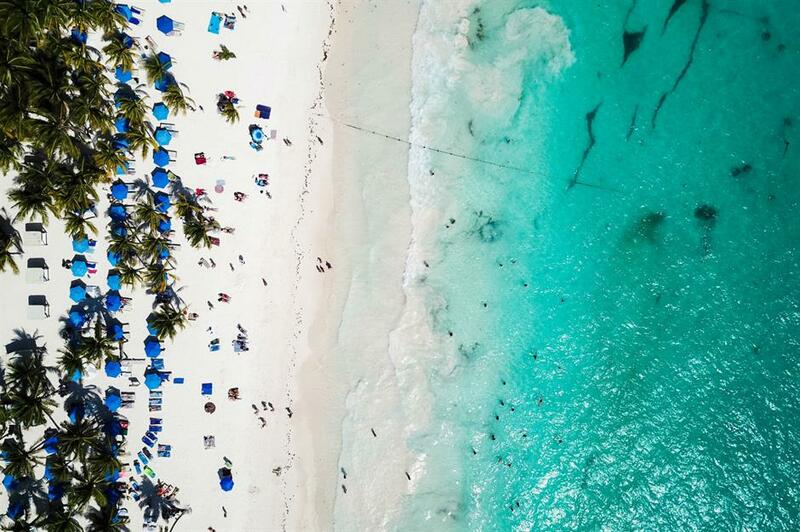 Head to Tulum, a two-hour drive from tourist-heavy Cancún, and you'll find a mini paradise of yoga retreats, beach shacks and upmarket restaurants. Brazil gets a lot of sunshine and out of all of the tourist spots, Rio de Janeiro clocks up the most, with average temperatures of 30°C (86°F). 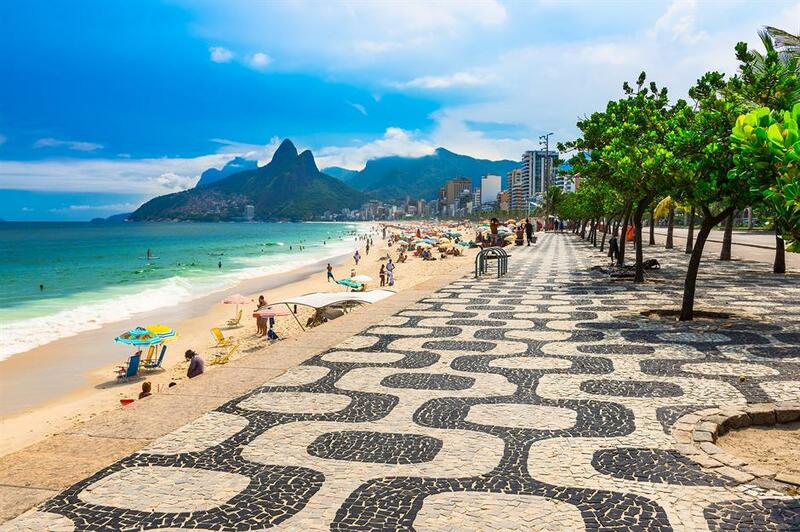 From hanging out on Ipanema Beach to making your way up Sugarloaf Mountain for a panoramic view, there's plenty to see and do. Make time to sip some refreshing caipirinhas (Brazil's national cocktail) as the sun sets. While temperatures may drop a little in the winter months, the northern state of Rajasthan enjoys plenty of sunshine and has one of India's shortest monsoon seasons. Visitors come here for the jaw-dropping architecture and to learn how the ancient Indian kings and queens lived. 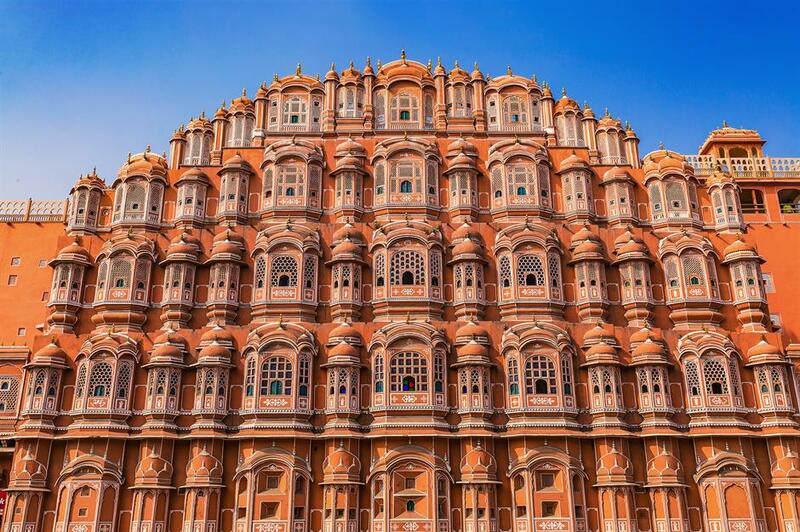 Perfectly preserved fortresses and stretches of desert make this a compelling slice of India. 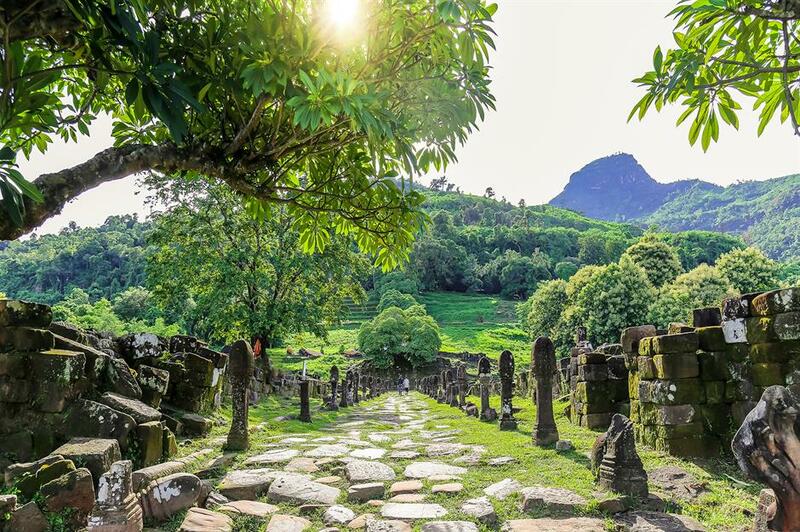 Although it has two monsoon seasons, Sri Lanka is a great year-round destination because different areas of the teardrop-shaped island are affected at different times. There's rain to the west and southwest coasts from May to September, while between October and February the east coast and northern region are hit. 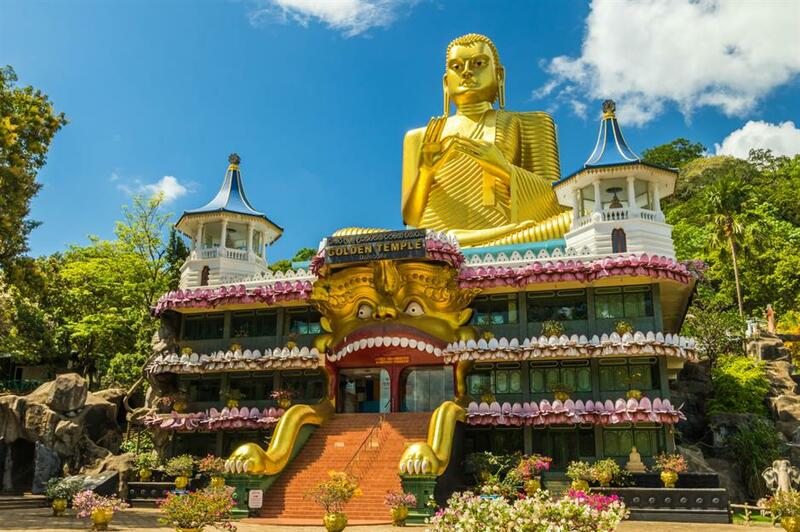 While Sri Lanka's beaches are a big draw for sun-seekers, there are also eight UNESCO World Heritage sites, including the sacred city of Kandy and the Sinharaja Forest Reserve. 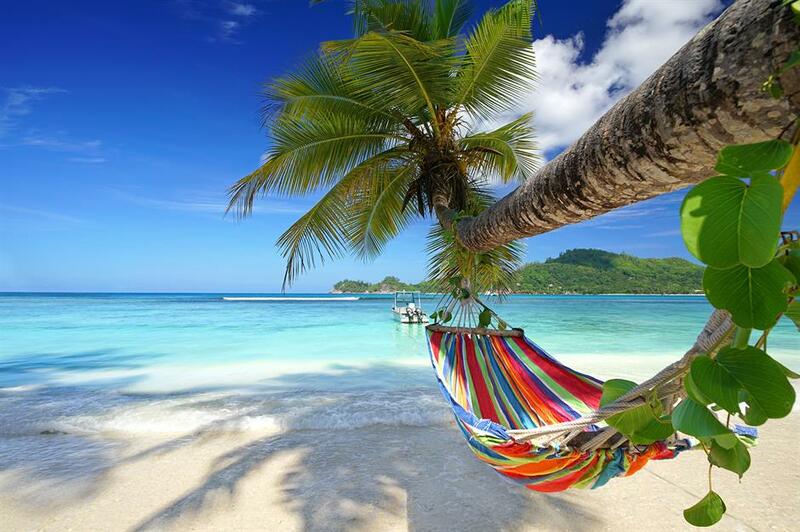 The Seychelles has soaring mountains covered in greenery and stunning beaches. Best of all, the archipelago off East Africa's coast is warm even in the rainy season. While it has a reputation for being an expensive honeymoon haunt, there are hotel options for all manner of budgets. It's a haven for hiking, birdwatching, snorkelling and diving too. 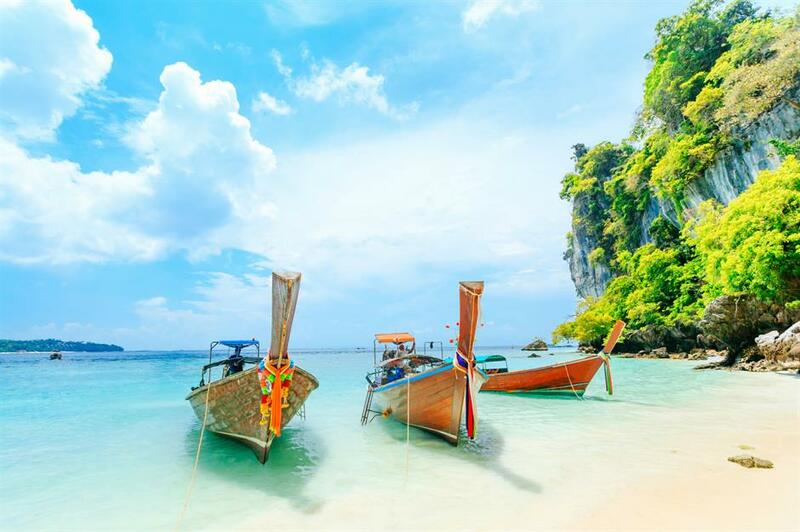 Thailand is prone to monsoons, but Phuket is one of the most consistently sunny spots, with an average sea temperature of 28°C (82°F). Hire a scooter to nip from one beach to the next and don't miss out on a visit to Phuket City's Thalang Road for the vibrant weekend market. Costa del Sol, which translates to 'Coast of the Sun', is officially the sunniest spot in Spain – even when the temperature drops in winter the forecast will still be warm and bright. There are party towns such as Marbella, but if you want a calmer experience, Nerja in the far east of the coast is quiet and picturesque. 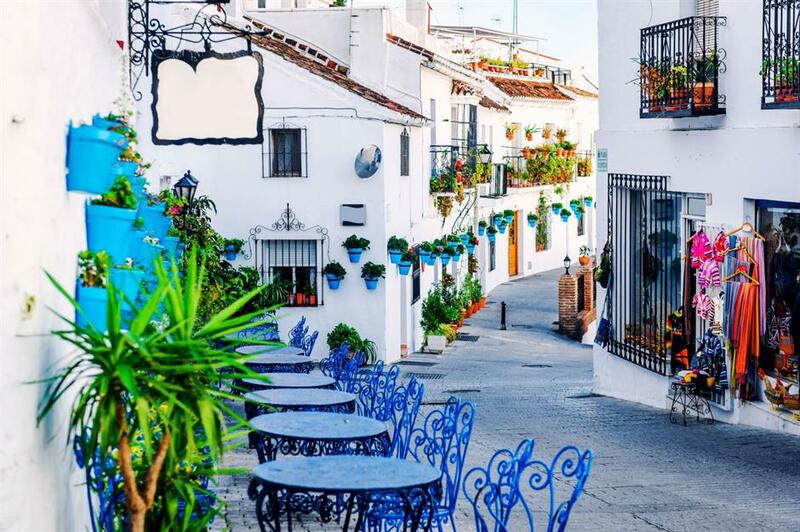 If you aren’t fussed about beaches, visit the pueblos blancos (white towns) in the hills for a quintessential Andalusian experience with whitewashed houses tucked away in the rocks. Cyprus gets a whopping 326 days of sunshine each year, even if it can cool off a little in the winter months. 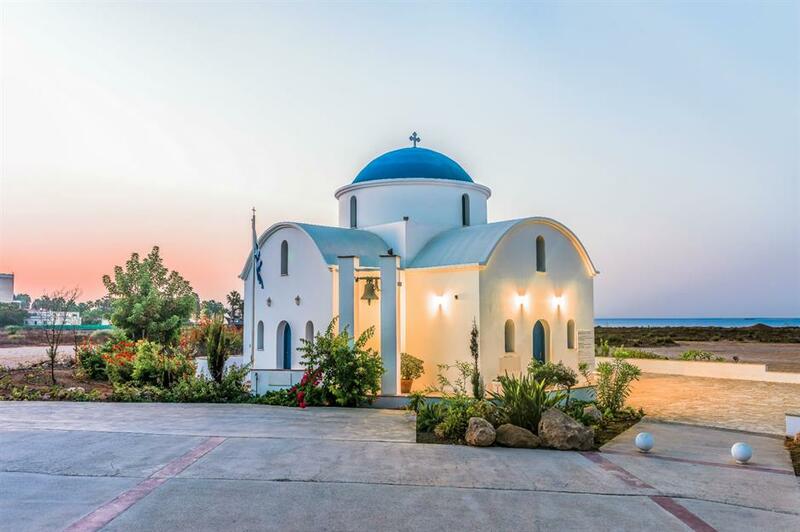 Paphos, on the southwest coast, is a good starting point. In town, there are plenty of lively local restaurants serving smoky grilled meats, excellent cheese, and sweet and savoury pastries. It's also the gateway for hikes in the Troodos mountains, which have some spectacular Byzantine churches. Northern Vietnam can get pretty cool, so southern Vietnam offers a better guarantee of sunshine and heat. 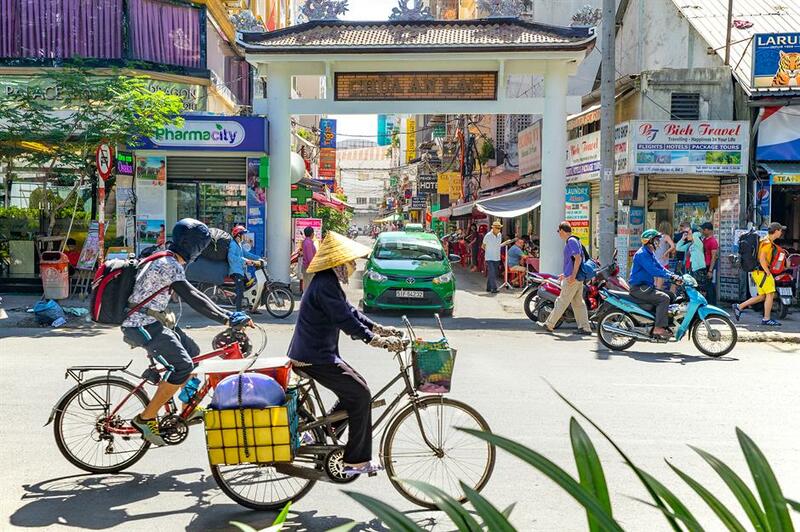 As cities go, Ho Chi Minh is hectic, crammed with spas and street-food vendors. Beyond that however, there's a burgeoning contemporary arts scene, extraordinary cocktail bars and retro-chic cafés serving Vietnamese coffee made with condensed milk. Once you’re fully caffeinated, take a bike tour around the older parts of the city. Morocco is famed for having year-round sunshine – on average 300 days per year – and while you could kick back in a luxury riad in Marrakesh, Taghazout is the place to go for great surf. Even if you're not a surfing pro, you can bask on the sandy beaches and feast on the fantastic seafood. The village retains its sleepy fishing village vibe, too, with colourful houses and beachfront cafés. If we're going on numbers, Perth has the most sunshine hours in Australia, but it's hard to beat the set-up in Byron Bay on the southeastern coast. Sure, this sweet, yoga-meets-surf town is no longer quiet and rustic, but it still retains its hippy spirit, and is home to some amazing bars and restaurants. Top tip: head to the lighthouse for sunrise. Located on the South Island, Nelson clocks up the most sunshine hours in New Zealand (2,633 hours). 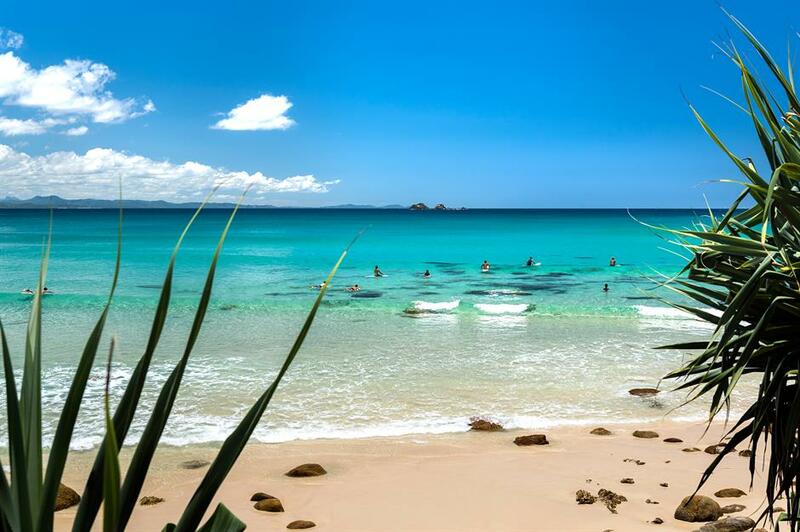 The region has long been popular with retirees, but Abel Tasman National Park, a breathtaking collection of islands and bays with aquamarine waters, means tourists and young families are now flocking here too. If you're after a quiet escape, there are still some remote parts where you can get away from it all. 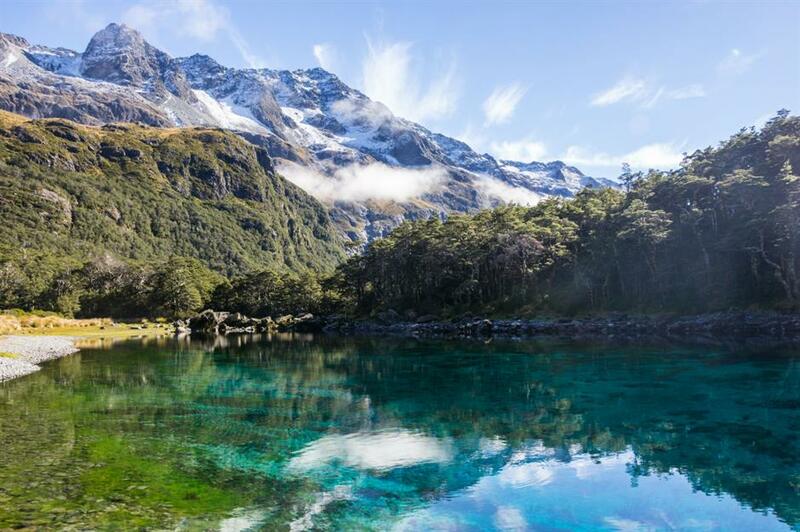 These 50 pictures will make you fall in love with New Zealand. Santa Barbara’s weather is dreamy: more than 300 days of sunshine, low humidity, and temperatures that never plunge or get too hot. Best of all are the Santa Anas, seasonal autumn winds that blow in during the evening to cool everything down. It's always perfect weather for exploring, whether walking down to the beach, around the gorgeous Mediterranean-inspired buildings or up to the mountains. Glorious weather is a given in a place called the Sunshine Coast, which unfurls mile after mile of beautiful beaches. Sheltered coves and warm waters make it ideal for swimming too. 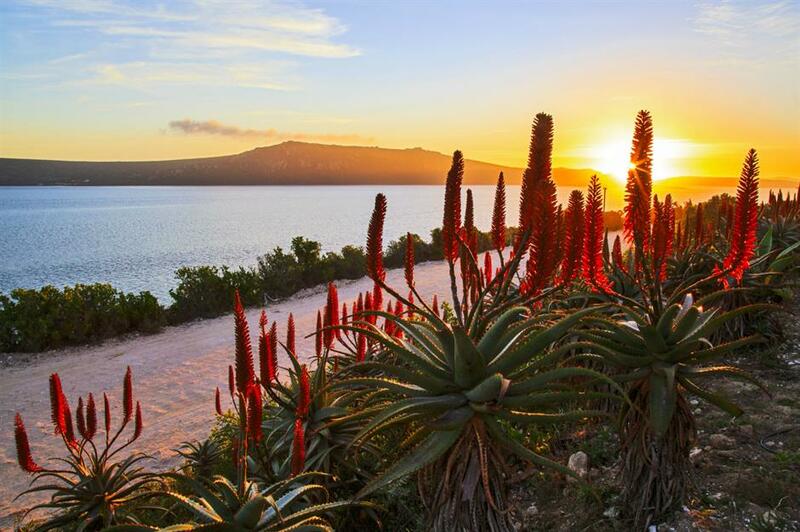 Port Elizabeth is the biggest city in the area, but the seaside town of Jeffrey’s Bay is equally charming. 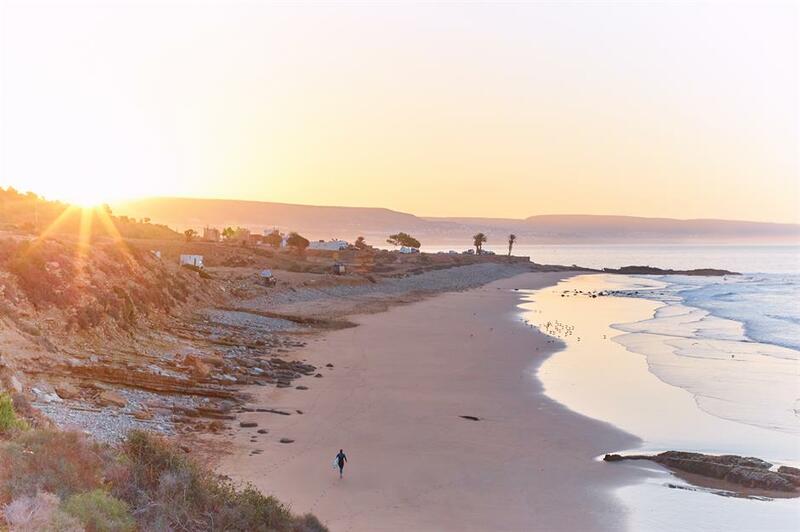 If you get bored of the beach, Addo Elephant National Park is within reach. Florida, also known as the Sunshine State, boasts some of America's finest beaches. Of course, there are theme parks galore, and absorbing cities such as Miami. 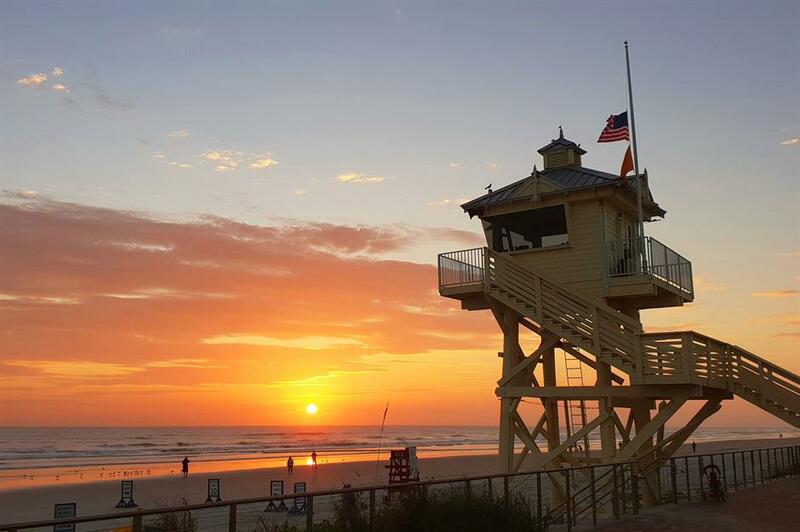 But for a quieter time, head to sunny New Smyrna Beach. Just an hour away from Orlando International Airport, this corner of the world is where you’ll find incredible seafood, a tight-knit community feel and sunrises good enough to rival best impressionist paintings – a perfect spot for enjoying the glorious weather. Read our guide here. 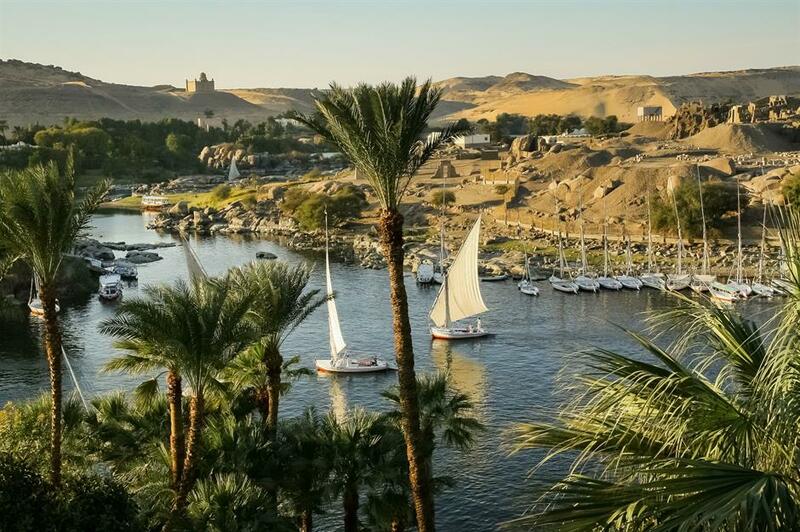 Currently there are no travel restrictions on Egypt's main tourist spots, which includes Aswan. With a hefty 3,300 to 4,000 hours of sunshine per year, it marks ancient Egypt’s southern frontier and has a slower pace than other cities. You can find some amazing treasures at the Nubian museum, home to the world’s largest and oldest obelisk, or if you’re hankering to sail on the Nile, it’s conveniently placed for a day's boat trip. 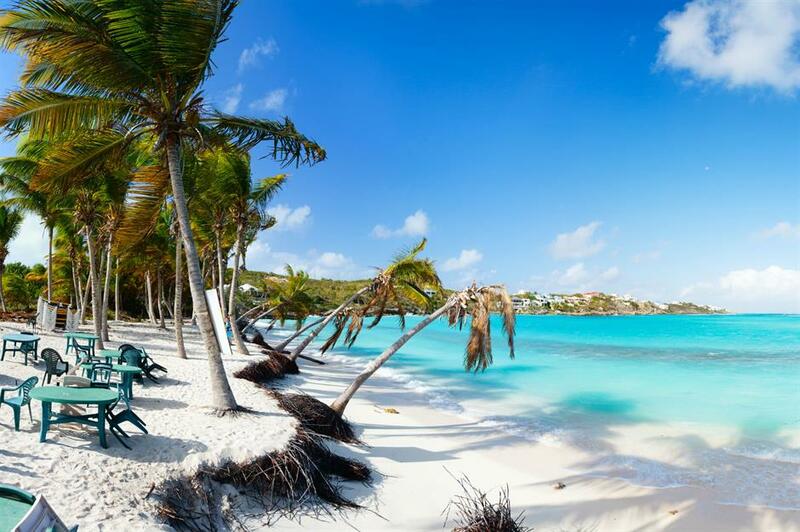 Aside from the storms that can occur between September and October, the Caribbean is pretty consistent for sunshine, with temperatures generally ranging from 21°C (70°C) to 32°C (90°F). There’s a whole host of islands to explore, from lively Barbados to romantic St Lucia. 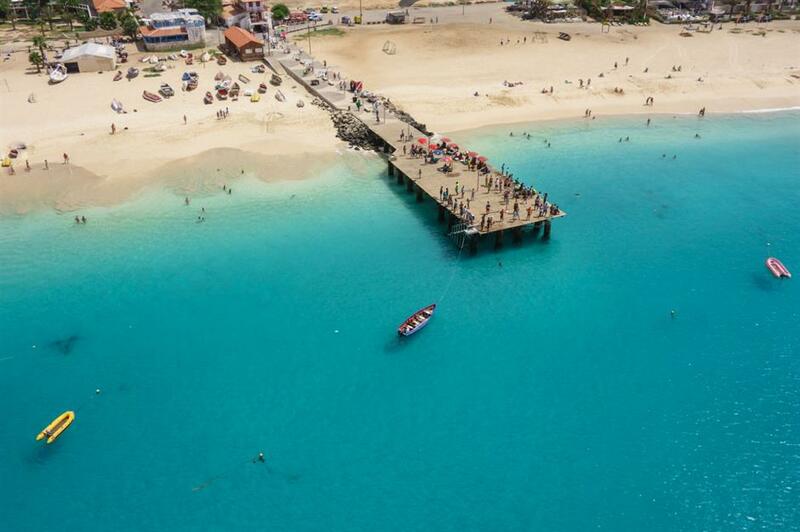 In Anguilla, there's an incredible blend of powder-soft beaches and fun local bars, so you don’t have that trapped-at-the-resort experience. There’s also plenty in the way of water sports from paddleboarding to kite-surfing. 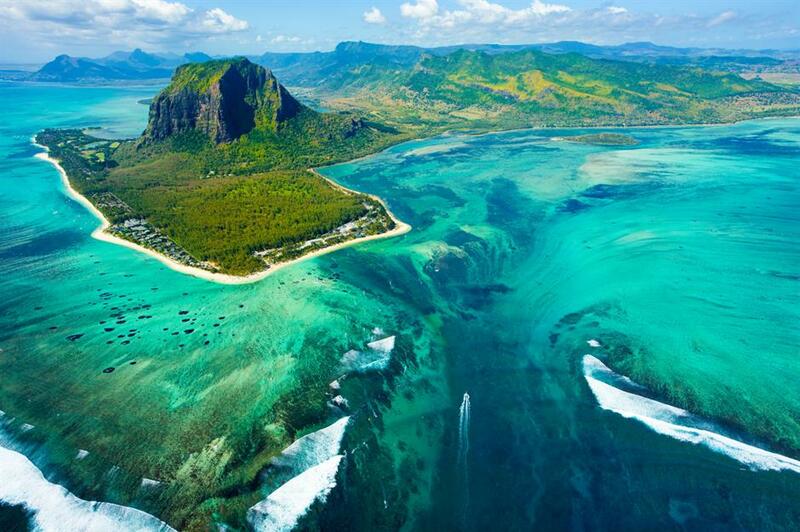 Temperatures rarely fall below 20°C (68°F) on the idyllic island of Mauritius. Incredible beaches can be found on the Le Morne peninsula in particular, but there's plenty to do beyond sunbathing. Hike up lush mountains and experience the rich food and drink scene for a start. Read our guide for other reasons why the island is so much more than sand and sea. Though temperatures do drop in winter, Liguria offers an average of nine hours of sunshine per day in summer and experiences little rain throughout the year. It has everything you'd want from a coastal break: top-notch food, beautiful old houses framed by orange and lemon trees, picturesque villages and beautiful local wines. 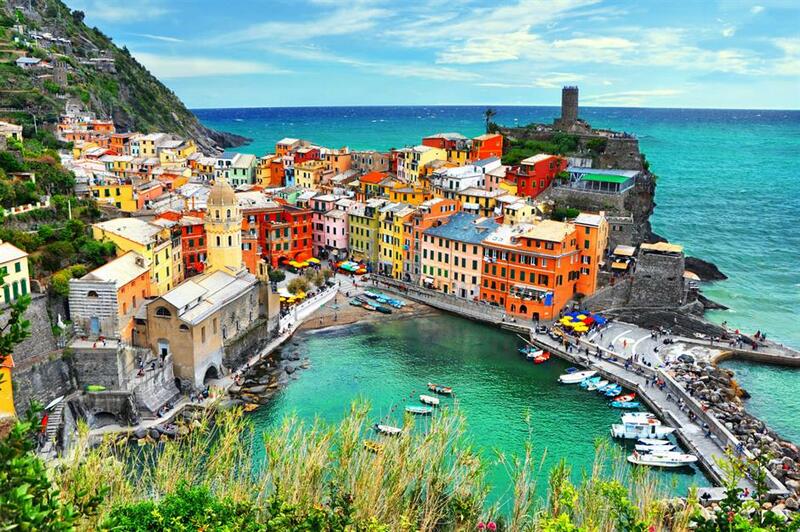 Head to the Cinque Terre and Portofino areas for some breathtaking sunsets. Hawaii is no stranger to a bit of drizzle, but it remains consistently warm with average temperatures of 29°C (85°F). 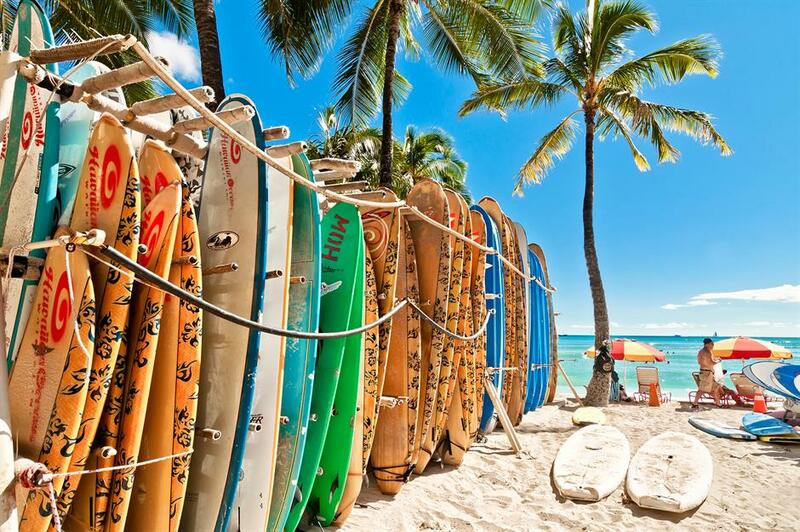 Honolulu, with its beaches and lively bar scene, is a great introduction for Hawaii newbies. On the Big Island, there's stunning Kīlauea, one of the Earth’s most active volcanoes, which erupted violently in 2018. Hawaii Volcanoes National Park was shut for months as a result of the eruption. It has now reopened, though tourists are advised to exercise caution. 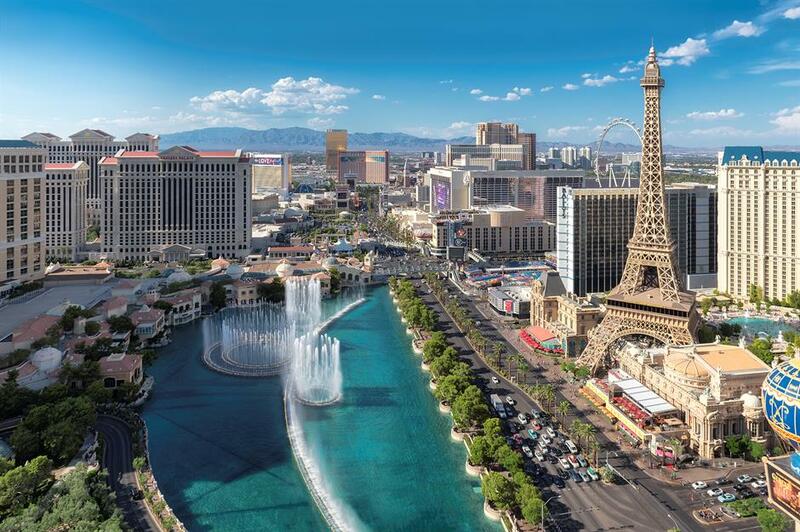 Las Vegas really is a city that never stops, and that includes the sunny weather. In this year-round destination, you can enjoy the infamous nightlife on the Strip, take a desert day trip or hang out by the pool, safe in the knowledge that the chance of rain spoiling your fun is unlikely. This cluster of 10 islands near Senegal rarely dips below a temperature of 20°C (68°F). Cape Verde was initially colonised by the Portuguese and the influence remains today – you'll see it most readily in the intriguing architecture. Sal, the most popular island, offers plenty of family-friendly hotels, or if you don't want to stick to just one place, join an island-hopping tour. Known for its French colonial architecture and quiet mountains, land-locked Laos has a slower pace of life than its neighbours. Luang Prabang, the main city, has beautiful temples, cute backstreets to explore and colourful street markets. The rainy season runs from May–September, but from October through to April, Laos is basked in sunshine. The slightly cooler months of January and February offer the best conditions for sightseeing. Oman may have year-round sun, but there can be too much of a good thing. In summer, temperatures have been known to soar to 50°C (122°F), so travelling during this season is best avoided. However, from October to April, the nation is a joy to explore. 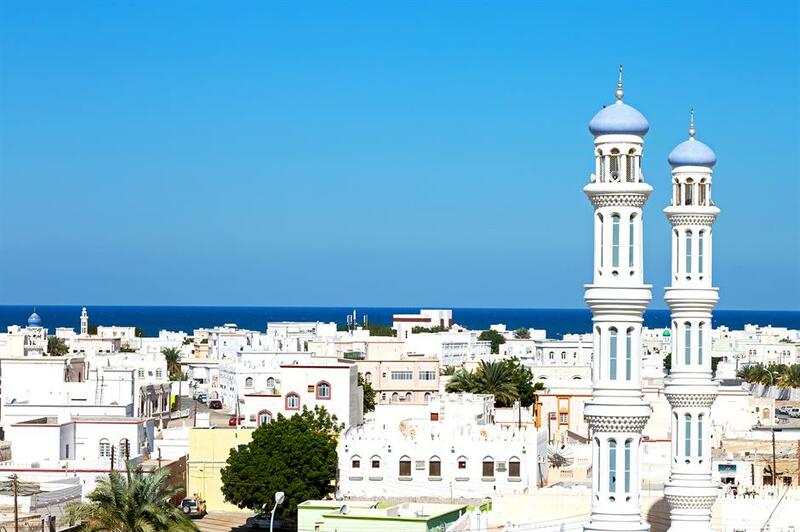 Oman is great for three things: friendly locals, ancient history and the desert. Visit a desert camp to drink tea and hear stories, or get chatting with locals in Muscat about the Omani way of life. 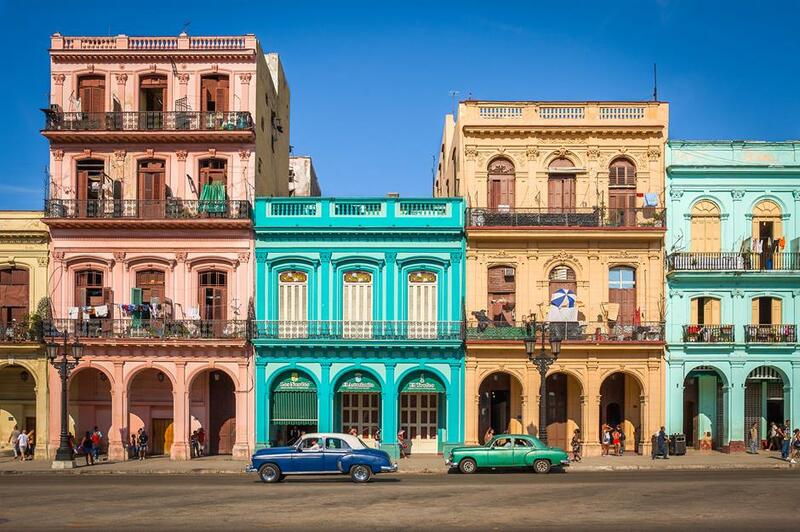 In Havana, there's rarely less than seven hours of sunshine per day and temperatures usually range between a balmy 25°C (77°F) and 32°C (90°F) in the summer. Spend time photographing the colourful, time-worn buildings, or embark on a food tour for a taste of home cooking. 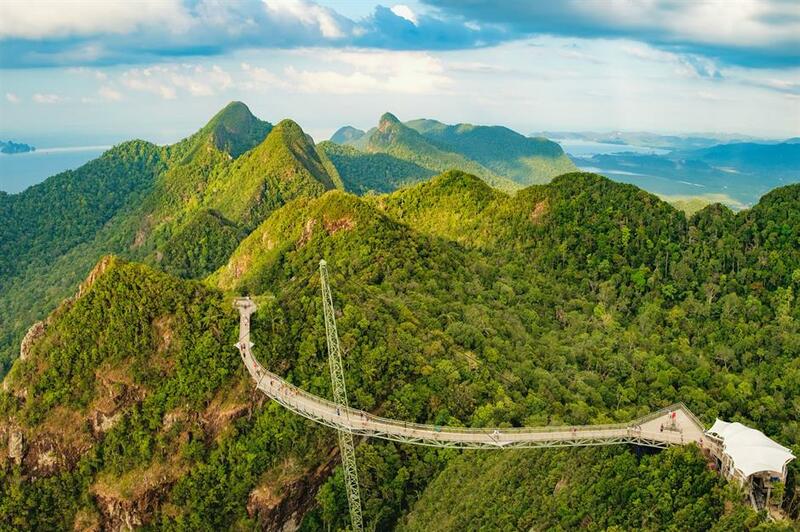 Despite its rainy season, Langkawi is arguably a year-round destination, because the rain showers last about two hours, amid 30°C (86°F) average temperatures. There's the gorgeous beach and fresh seafood, and hiring a car opens up the island’s interior. You'll discover stunning waterfalls and mountains teeming with birdlife. 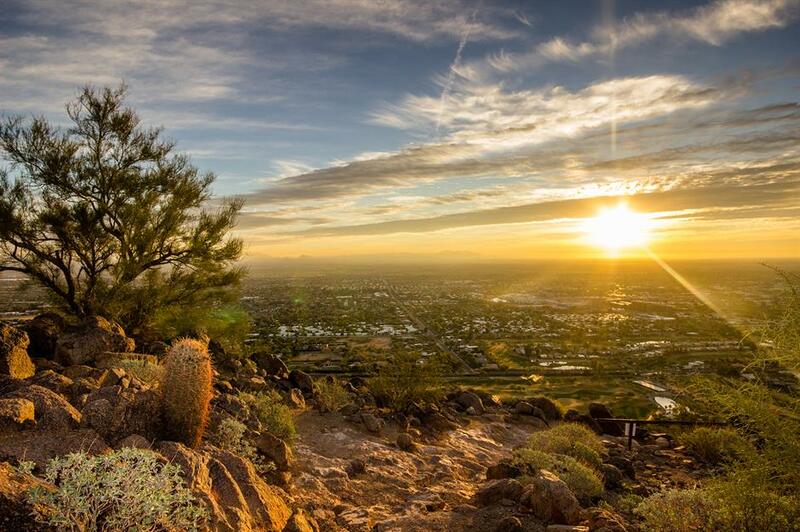 One of the most sun-blessed cities in the States, Phoenix has a lot to offer. Lose yourself in the labyrinthine paths of the Desert Botanical Garden and hike to the top of Camelback Mountain for jaw-dropping views. Make time to taste some of the best tacos outside of Mexico too. 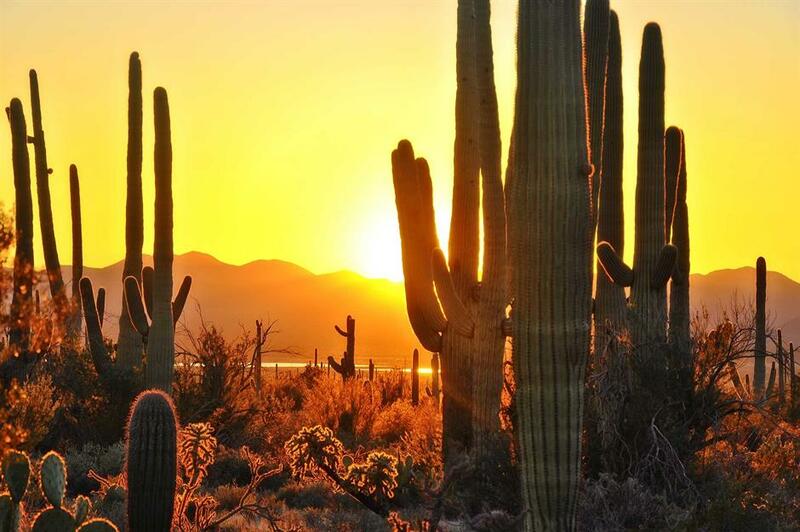 It's best to visit Phoenix in spring or autumn, as temperatures in summer can soar to a scorching 41°C (106°F). Now discover the best spot to photograph the sunrise in every US state. The largest of the Canary Islands, Tenerife is hugely popular for a reason – not least because it has some of the most consistently sunny weather in Spain. Making the most of the beaches and bars is an obvious choice of activity in summer. During the cooler months, the UNESCO World Heritage Teide National Park, with volcanic Mount Teide, is an absolute stunner. 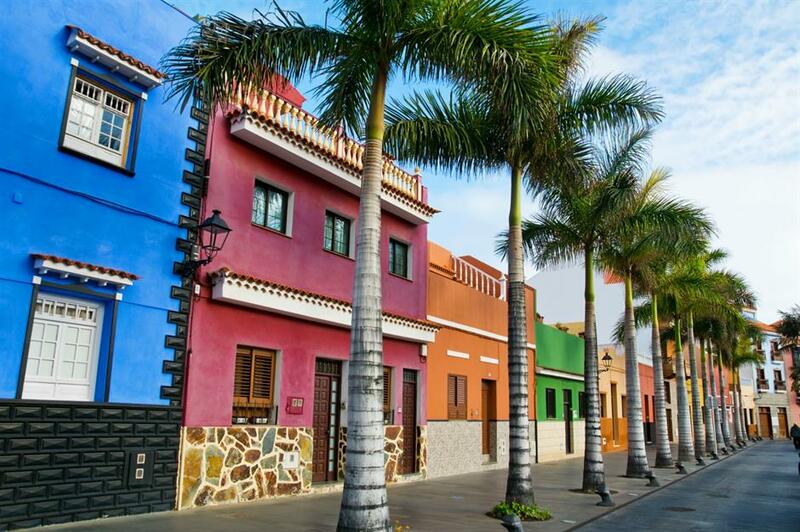 Read our comprehensive guide to Tenerife here. 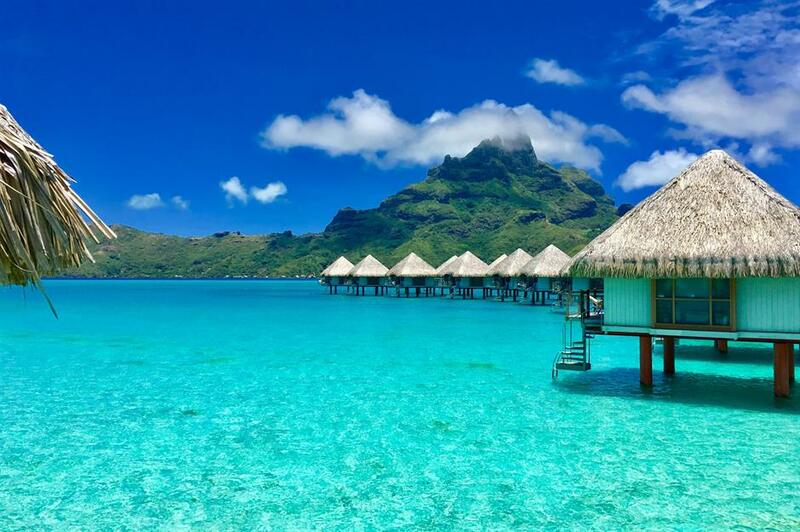 French Polynesia's largest island enjoys close to 3,000 sunshine hours per year. While away your stay in one of the ultra-luxurious beach resorts or spend the day sampling the restaurants and bustling markets of capital Papeete. Looking for more places to escape the cold? See our gallery of where to find winter sun without the crowds.